There's been much speculation about the fate of Panasonic's plasmas lately, and that's exactly what it is at this point: speculation. Every time one report states that a company spokesman has confirmed the upcoming end of plasma R&D and/or production, another report quickly follows that says it's not true and the company has made no decision on the matter. Perhaps it's wishful thinking on my part, but I'm going to wait to sound the death knell until Panasonic releases its own official press release stating the demise of its plasmas, and that may not come until after the factories have already gone dark. 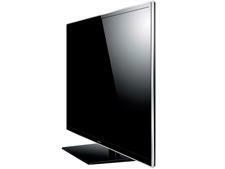 Until then, we have a new slate of 2013 plasmas to explore, beginning with the mid-level ST60 Series. For those who might be wondering if the ST60 is simply a rehashing of last year's well-reviewed ST50, let me assure you it's not. Research and development was alive and well at Panasonic during this past year, and the ST60 offers some distinct differences over the ST50, both in features and performance. I received a sample of the 60-inch TC-P60ST60; the ST60 line also includes screen sizes of 50, 55, and 65 inches. The ST60 Series is the lowest-priced plasma series to offer 3D capability and falls squarely in the middle of the complete plasma line, below the VT60 and much-anticipated ZT60 and above the S60 and X60. This 1080p TV uses the Infinite Black Pro panel with an updated Louver filter to reduce screen reflectivity and has 2500 Focused Field Drive technology to improve motion resolution. It includes the VIERA Connect Web platform, with built-in WiFi, DLNA/USB media support, and compatibility with the VIERA remote2 control app for smartphones and tablets. VIERA Connect has received a makeover this year, with a completely redesigned interface and new apps that make use of an optional electronic touchpen (the TY-TP10U, $79). 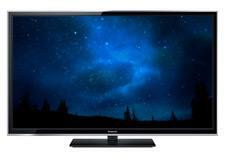 The ST60 is an active 3D TV, and two pairs of RF 3D glasses are included in the package. To top it all off, the ST60 is actually an even better value than last year's ST50; the 60-incher carries an MSRP of $1,699.99 (that was the MSRP of last year's 55-incher). Since I still use last year's TC-P55ST50 as a reference display, it was easy to do direct comparisons in performance, features, and design between the two models. On the design front, this year's model has a slightly thinner bezel and a more straightforward gloss-black finish, compared with last year's charcoal grey. The ST60 has a chrome accent strip that runs around the frame's outer edge (last year's model was clear acrylic), and the non-swiveling stand is gloss black, instead of silver. Depth and weight are also slightly reduced from the ST50: the TC-P60ST60 measures two inches deep (last year's was 2.1) and weighs 69.5 pounds without the stand (formerly 72.8). The remote control has also received a makeover; it's about one inch shorter than last year's model, has a matte-black finish as opposed to a glossy black finish, and sadly omits backlighting and switches to almost entirely black buttons (not a wise combination). The general layout is similar to previous Panasonic TV remotes, but some buttons have been moved/added. Among the changes, Panasonic has added a dedicated Netflix button and has moved the menu button to a less prominent position, while putting the Mute button in a more intuitive location between the volume and channel buttons. A new Panasonic control app, VIERA remote2, replaces the old control app for iOS/Android devices. It offers a virtual keyboard, a touchpad, a gamepad layout, and an upgraded Swipe & Share function that lets you easily flick media content and Web pages from the smartphone/tablet to the TV. The connection panel includes three side-facing HDMI inputs (one with ARC support), as well as one shared component/composite input and one RF input to access the internal ATSC and Clear-QAM tuners. There's no PC input. For network connectivity, you can choose between wired Ethernet and built-in WiFi. An SD card slot and two USB ports are available for playback of digital media files. The USB ports also support the addition of a USB camera (Panasonic offers the TY-CC20W) or a USB keyboard for easier text entry. Another change will be immediately apparent when you turn on the TV and begin the setup process. This TV talks to you. The Voice Guidance system will talk you through initial setup and basic operations, if desired. Don't confuse this with voice recognition. The ST60 can't respond to your voice commands; rather, it simply verbalizes the information on the screen. Frankly, I don't really see what this adds to the experience, and I found the old-school computer voice to be a bit comical. This year's ST Series also adds a new optional Home Screen that will appear each time you power on the TV. 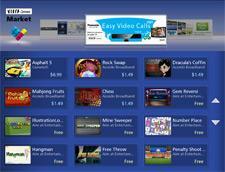 The Home Screen consists of a large viewing window surrounded by a customizable apps panel. You can choose from several panels: the Info Screen includes entertainment apps like YouTube, Skype, and Web bookmarks; the Lifestyle screen includes a clock, calendar, weather app, and notepad; or you can design your own panel. You can also choose none of the above and just set up the TV to show a full viewing window upon startup, although a tiny Home banner will still display briefly along the top of the screen. The TC-P60ST60's picture-setup menu also includes some compelling new additions. Most notably, Panasonic now offers two picture modes that have the full suite of calibration controls. In last year's ST50, only the Custom mode included access to advanced picture adjustments like RGB gain/bias controls for white balance, selectable gamma presets, and adjustable panel brightness. This year, both the Custom and Cinema modes can access these controls, and Panasonic has added a lot more advanced adjustments, including a color management system to adjust the hue, saturation, and luminance of red, green and blue (but not cyan, yellow and magenta), a 10-point white balance adjustment, and a 10-point gamma adjustment. These perks were available last year in the higher-end VT50, but not the ST50. Panasonic has also added a new picture mode called Home Theater, which is akin to the Cinema mode of years past; it provides a more natural-looking image than either the Vivid or Standard mode and includes basic picture adjustments like Brightness, Contrast, Color, and Tint, but it does not grant you access to the full suite of calibration tools. Another nice addition is the ability to display 24p Blu-ray content at 96Hz to reduce judder; the ST50 only included options for 48Hz and 60Hz. The 48Hz mode produces so much flicker, I find it to be unwatchable. 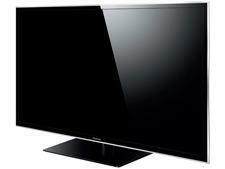 The 96Hz mode was previously reserved for the VT Series, but Panasonic has brought it down to the ST Series this year. Motion Smoother is also available for those who desire a de-judder control that uses frame interpolation to produce smoother motion with film sources (it also slightly improves motion resolution - more on that in the Performance section). 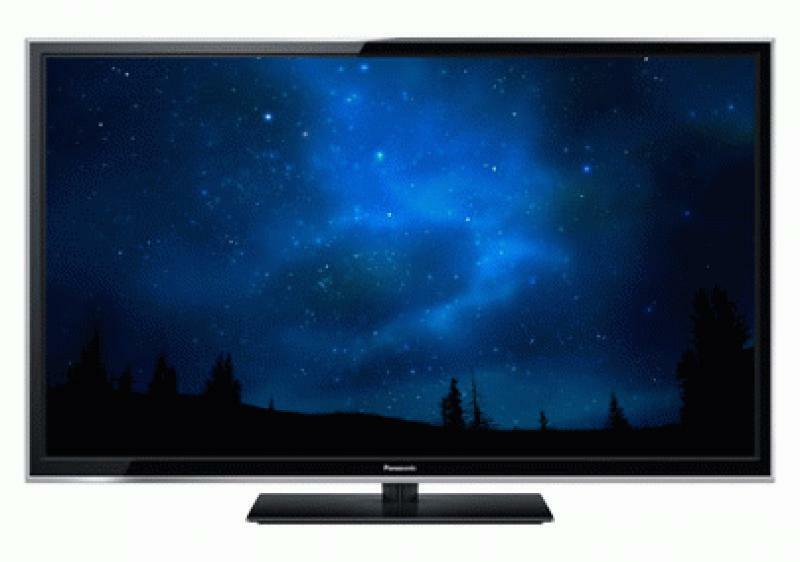 In the 3D realm, the TC-P60ST60 is an active 3D TV that employs frame-sequential 3D technology, which causes the TV to alternately flash a full-resolution left-eye and right-eye image. This year's 3D setup menu includes a new 3D Refresh Rate that works exclusively with 3D content and includes options for 96Hz, 100Hz, and 120Hz. The 3D setup menu also includes 3D Adjustment to adjust the left-eye versus right-eye, the ability to swap the left/right images if it seems like the depth perception is off, a diagonal line filter to remove jaggies, and the ability enable 2D-to-3D conversion and adjust the depth in three steps (minimum, medium, or maximum). The TC-P60ST60's sound menu adds new preset audio modes (Standard, Music, Ambience, and a User mode with an eight-band equalizer), as well as bass, treble, and balance controls, a basic surround mode, Bass Boost, and the AI Sound feature and Volume Levelers. Panasonic has added a Digital Remaster control to help improve the quality of compressed audio signals. The TV's sound quality was a bit fuller and more dynamic than last year's model; I didn't have to push the volume quite so high to get decent dynamics, but I still recommend some type of external sound system. In past years, I have appreciated the simplicity and clean layout of Panasonic's VIERA Connect platform, but admittedly it could be slow and a bit laborious to navigate from page to page. This year's redesigned VIERA Connect interface is more along the lines of what Samsung and LG are doing - i.e., the page is loaded with a lot more tiny icons. Hit the remote's Apps button to bring up VIERA Connect; at the very top is a link to the marketplace, where you can add/buy a wide variety of apps. Most of the majors are available, including Netflix, VUDU, YouTube, Hulu Plus, Amazon Instant Video, CinemaNow, Pandora, Rhapsody, TuneIn, Skype, Picasa, Facebook, Twitter, MLB.TV, and many more. (It's worth noting that some of the high-profile apps announced back at CES 2012, like MySpace TV and Disney interactive storybooks, have still not come to fruition.) Beneath the VIERA Connect Market is a row of primary services, including Media Player for USB/SD Card playback, DLNA Server, Live TV, Photo Frame, and a Web Browser. The DLNA function worked great with the PLEX software on my Mac and the AllShare app on a Samsung tablet but, sadly, the ST Series' Web browser still does not support Flash. Below that is the general list of apps that you have added or purchased; through the Settings tool, you can easily move and delete these apps to customize the page. All in all, I found the new look to strike a good balance, offering more options on the screen (so less navigation is required), but presenting everything a clean, logical way. Read about the Performance, the Downside, Competition and Comparison and the Conclusion on Page 2 . . .